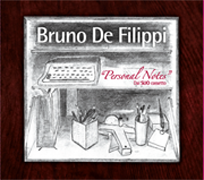 On May 6, 2013 the album "Personal Notes / Dal SUO cassetto" has been published, for the public to know and appreciate some of Bruno's compositions less popular than "Tintarella di Luna". 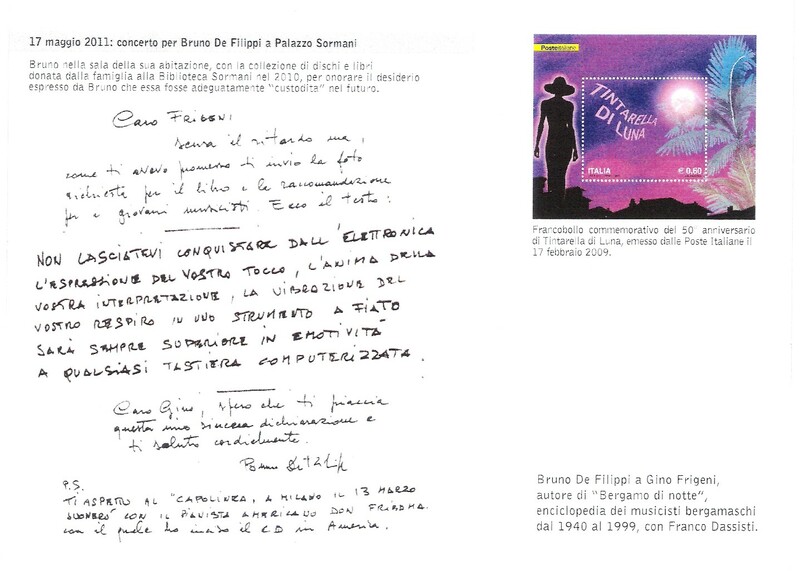 It is produced by Franca De Filippi and distributed by Preludio. 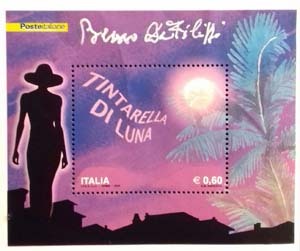 Click on the picture for more details. 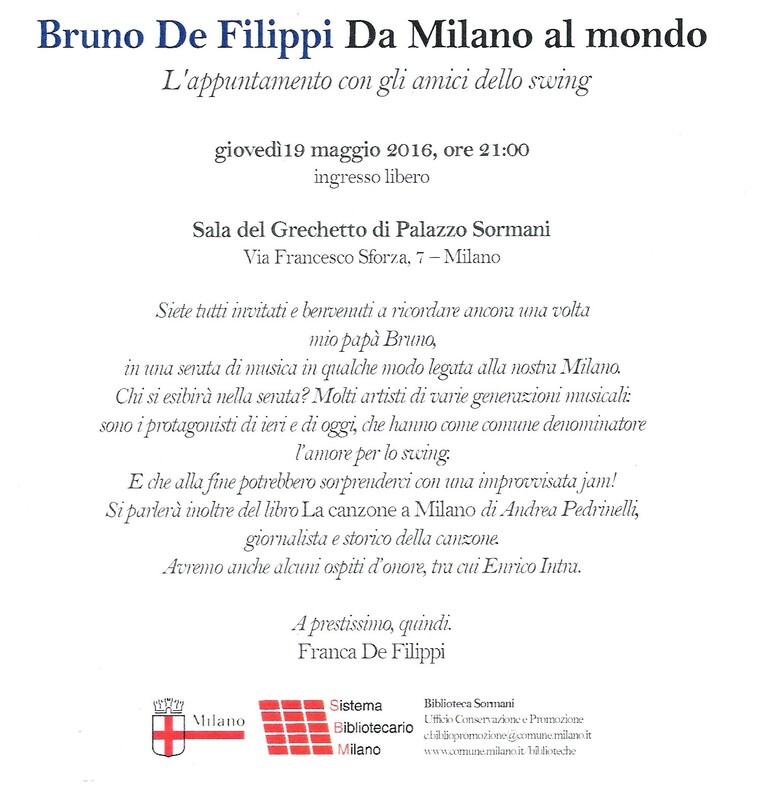 On May 17, 2011 an opening concert was held as a tribute to Bruno. 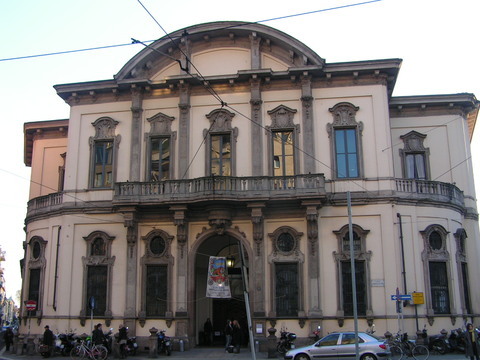 In the beautiful Sala del Grechetto at the historical Palazzo Sormani in downtown Milan, a number of music friends played many tunes related to Bruno's concerts and career. 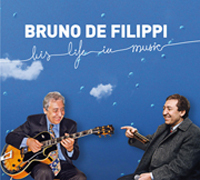 On May 17, 2011 the album "Bruno De Filippi: his life in music" has been published, to appreciate and summarize Bruno's entire life made of music. 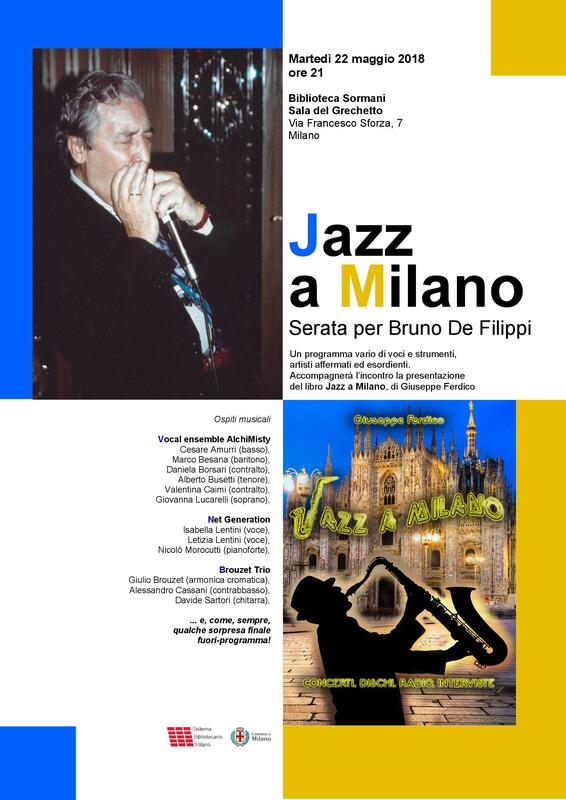 It is produced by Franca De Filippi and distributed by Carosello Records. Click on the picture for more details.